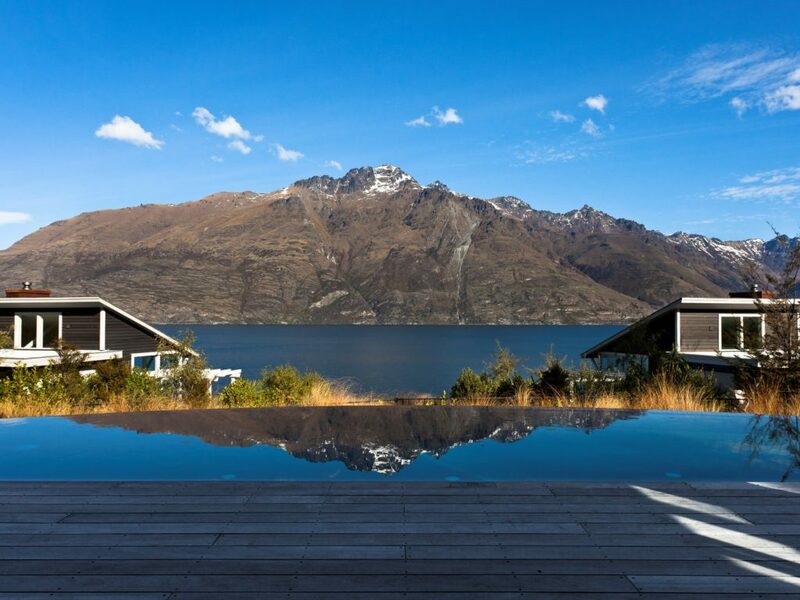 Matakauri Lodge, overlooking the beautiful Lake Wakatipu, is located a quick five- to ten-minute drive from Queenstown. This lodge is far enough out of town to avoid summertime crowds and thus provides serenity and privacy, but is close enough to easily access its attractions and restaurants. 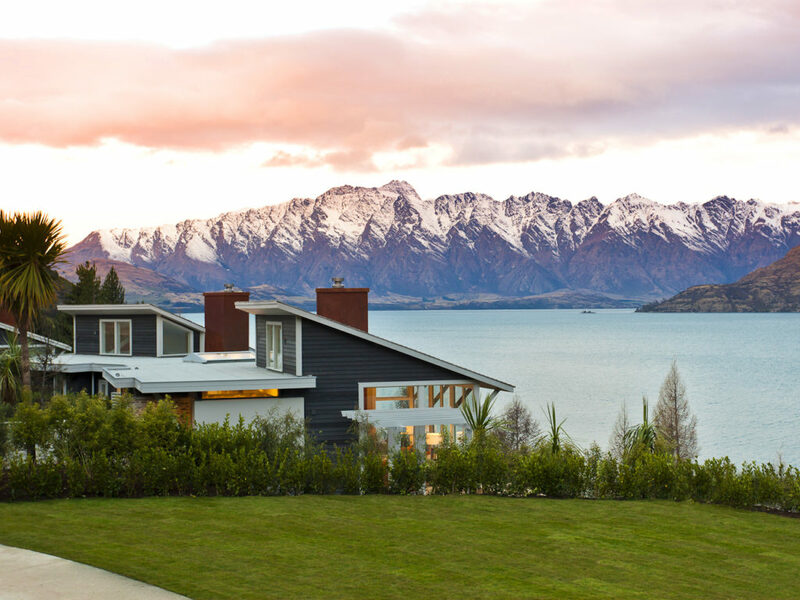 Originally constructed in 2000 with a contemporary New Zealand design, the lodge went through a winter renovation and reopened in August 2010, after an extensive refurbishment by New Zealand Interior Designer, Virginia Fisher. More recently Ms. Fisher has also worked on The Lodge at Kinloch, situated on Lake Taupo. The Main Lodge offers accommodation via twelve guest rooms and suites, with eight outlying cottages and four suites within the lodge. Each suite offers a private porch, bedroom with sitting area and open fireplace, walk-in wardrobes and a bathroom. All are nestled in native forest overlooking the lake and the mountain panorama. Relax in the lodge’s spacious lounges, dining and living areas. They all have lake views and indoor/outdoor dining options. Facilities include a full service luxury spa, infinity pool, a fully equipped fitness centre and an elegant meeting and business centre. An Owner's Cottage is also available and features four suites in a freestanding residence. Amenities include private jacuzzi, lounge, kitchen and grand courtyard. The number of rooms afforded by the Owner’s Lodge is ideal for families, couples or friends traveling together. We suggest to plan ahead however!